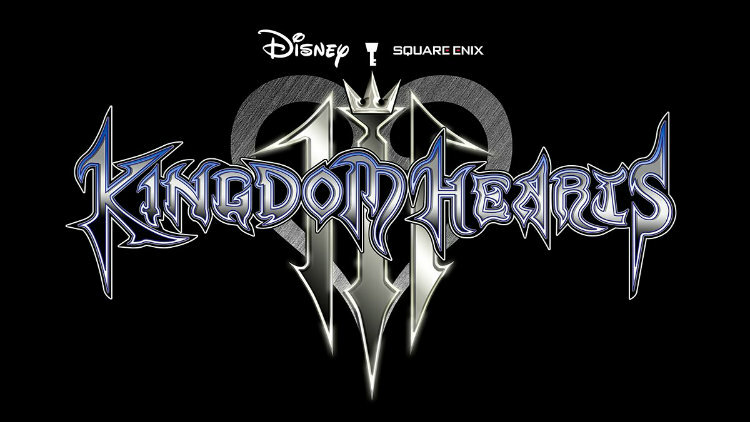 The sequel and next major installment in the Kingdom Hearts RPG franchise is finally here, Kingdom Hearts 3. The Kingdom Hearts series of games is quite possibly one of the most talked about and loved video game franchises in the world. 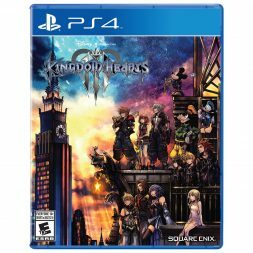 What makes these games so popular is the dynamic cross over and combination of characters from the Square Enix and Disney universe. Kingdom Hearts available for PlayStation 4 and Xbox One, marks the end of an epic saga spanning over 17 years. Let’s take a look and Kingdom Hearts 3 and see if it’s the epic conclusion that fans have hoping, dreaming and waiting for. If you can believe, it’s been nearly 13 years since Kingdom Hearts 2 has been released. And, a lot has happened in that time. In all, there have been nine games that have been released, which have all taken place in different time periods in the Kingdom Hearts timeline. With such a great amount of time passing between major releases and other games in the series releasing in between, Square Enix knew they had an uphill battle to climb. 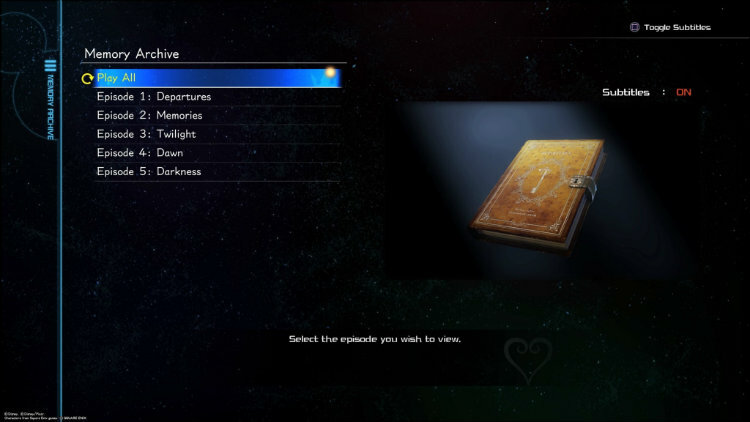 To help those whose first game is Kingdom Hearts 3 and to give others a refresher, they included a Memory Archive with the game. 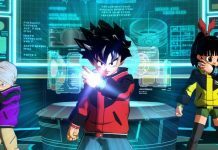 It’s a series of episodes that you can watch from the main menu. They help you catch up on the story, or for some refresh your memory. Overall, I found that the Memory Archives give you a solid understanding of what has happened so far, since Kingdom Hearts 2. And, it gets you prepared for the adventure, which lays ahead in Kingdom Hearts 3. Now, let’s talk about Kingdom Hearts 3’s story. In a nutshell, Kingdom Hearts III‘s story is that of the power of friendship and light versus darkness. The Heartless along with Keyblade Master, and main antagonist of the game, Master Xehanort have set an evil plan in motion to take over the universe. In hopes to reform the original Keyblade, Master Xehanort plans to start a raging war pitting the warriors of light and darkness against each other. You assume the role and follow the journey of Sora, an unknowing heir to spectacular power. Along with Goofy and Donald, you set out on a mission to stop the Heartless and Master Xehanort. To stop him, you must find the seven guardians of light and the Key to Return Hearts to finally put an and to Master Xehanort. Thanks in part to the Memory Archive, I never felt that I was lost with the story. Each world allows you to get an overview of what has happened so far, just in case you might have missed something. I really liked how the story unfolds through out the game and even if you aren’t a die-hard Disney fan, it is one everyone can enjoy. 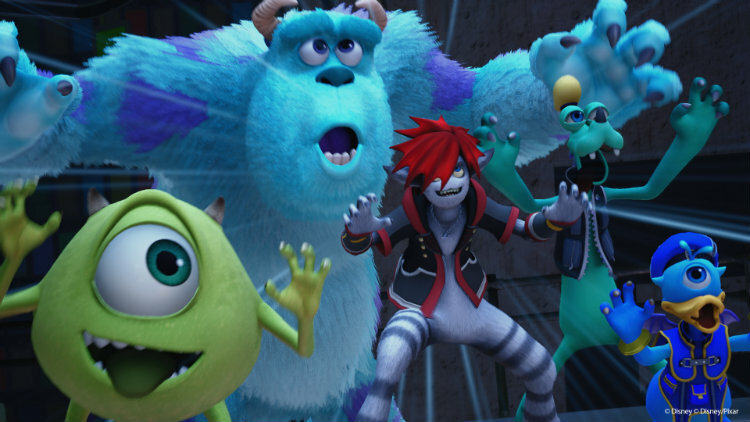 Kingdom Hearts 3 brings many new Disney and Pixar characters and worlds into the game. Some of my favourite worlds include Toy Story, Frozen, and Monsters, Inc. The way in which characters from these worlds seamlessly become part of the story is simply amazing. Never do these characters feel out of place, they fit in perfectly. 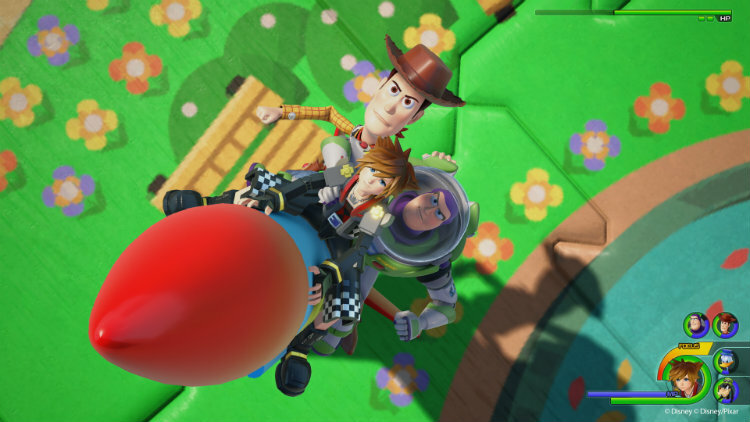 The core gameplay of Kingdom Hearts 3 remains true to its roots in that it offers a variety of both ground and aerial combos, summons, and magic to use. 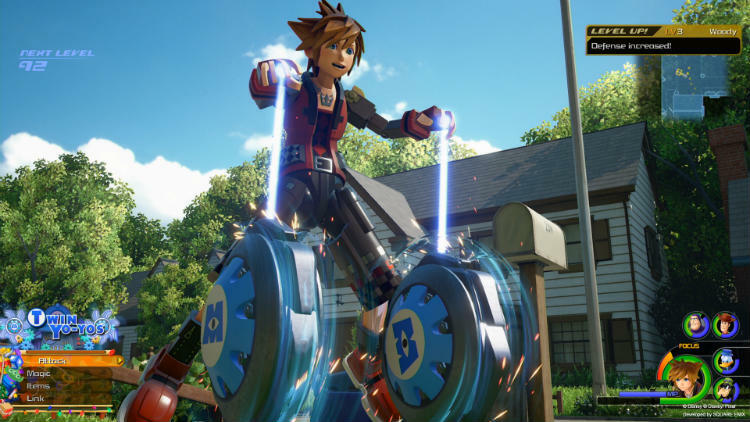 The gameplay mechanic known as Flowmotion, which was first introduced in Kingdom Hearts 3D: Dream Drop Distance is part of Kingdom Hearts 3‘s gameplay. It’s first used early on in the game and allows you to run along and up walls, jump between various different parts of the environment and use the world around you to attack your enemies. However, a brand-new addition to gameplay comes in the form of Keyblade Formchanges. This allows you to transform your Keyblade, which gives Sora a whole new moveset. Each Keyblade is geared toward a certain specialty such as healing and boosting your magic. In turn, this adds another layer of depth to gameplay, which gives combat a fresh and new feel. You can equip a total of three Keyblades at a time and each of them have one or two different Formchanges. 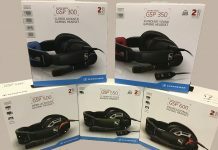 These are activated by completing a series of combos and attacks. My favourite new addition to game in Kingdom Hearts III is something called Attraction Flow. Throughout your journey, you’ll come across some enemies that have a green circle around them. This will allow you to summon various rides from Disney theme parks to attack your opponents. These range from Mad Tea Cups, to Splash Run, to a Pirate Ship. The attacks are quite flashy and done in grand fashion. I never got tired of using them and watching them in motion. 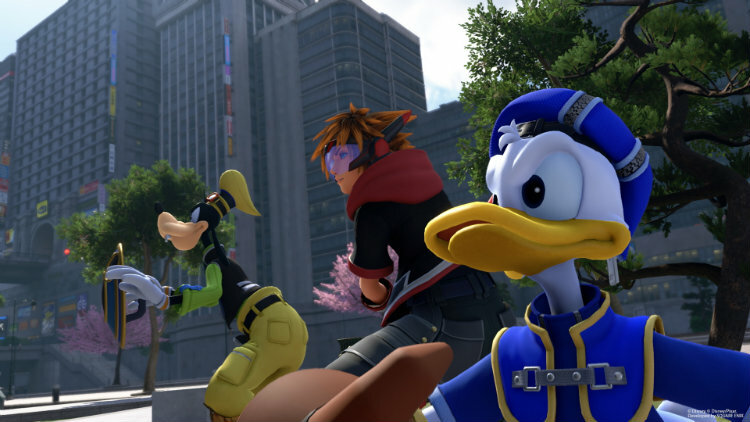 Furthermore, there are Team Attacks you can do with Donald, Goofy and other members of your party. These attacks often allow you to turn the tide in battle and sometimes allow you to traverse over terrain that you normally wouldn’t be able to. For example, in Olympus there are several spots where you ride on Goofy’s shield to make it across fire. In addition to a captivating story and solid gameplay, Kingdom Heart III‘s visuals and audio is stunning. Each of the Disney and Pixar worlds along with the characters are faithfully recreated and often look like they are right out of a movie. The special effects of special attacks fill the screen with bright flash colours, all without a hitch. The cutscenes looks spectacular and are voiced well. They do a fantastic job of moving the story along. The animation is a near constant 60 FPS and adds to the overall awe you will feel when playing this game. Within the first few minutes of playing, I was blown away by the game’s soundtrack. It is easily the best in the series and contains updates of previous songs, new songs and Disney inspired ones. It is easy to see that the overall production value on this game is top notch. In fact, there are only a handful of games that come close or can match it. Just take a look at the video of the opening segment in Kingdom Hearts 3, it’ll send shivers down your spine. Kingdom Hearts 3 ends the epic saga on a high note and ties up loose ends that many have been wondering about for over a decade. It is everything I’ve been dreaming of for the past 13 years and more. Nearly everything about this game is executed flawlessly. From story, to gameplay, to presentation—Square Enix did a phenomenal job. 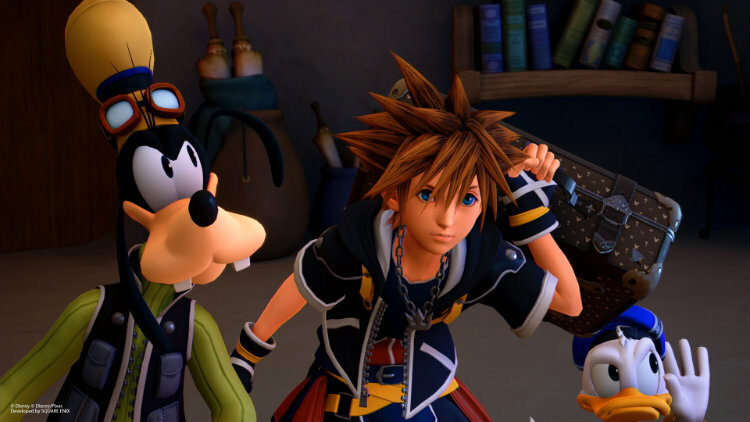 If you’ve ever had doubts about playing a Kingdom Hearts game, you do not have anything to worry about with Kingdom Hearts 3. The Memory Archive does a great job of summing up the events of the past 13 years. It presents them in a clear and concise series of several minute episodes for you to watch. Kingdom Hearts 3 is a masterpiece from start to finish and a game that you should not miss out playing. In my opinion, it is already an early contender for GOTY. I’ve never tried to get into the Kingdom Hearts series, but I have been interested in it. The things that dissuade me from the series are that I’ve heard all the main games and side games are integral to the plot. 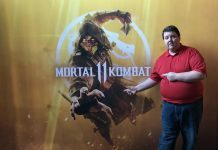 It seems overwhelming to get into the games, but they look interesting. Perhaps I will give it a try.